Ayurveda has its feet on the human land from over 2 millennia. We can always find ayurvedic herbs around us easily. The modern science of healing is developed with the help of Ayurveda, however, nowadays, Ayurveda and allopathy don’t cross each other’s way. Ayurvedic treatments are pseudoscientific and confirmation bias, still, it is believed to be the best healing practices. It shares both factual and spiritual science, thus more than medicines, belief heals faster than anything. Talking about the ayurvedic herbs, then India is the place where each house carry some sort of herbs which are known as healing herbs in Ayurveda and has a great impact on overall human health. Turmeric– Beginning with very famous medicine turmeric, also called “Haldi” in the local language is known as the “The spice of life”. It has enormous health benefits and it comes in use on daily basis in Indian households. It purifies the blood and impacts the healthy living, it improves the skin complexion and glows by offering the nutrition to the skin. It contains anti-inflammatory contents which blend it as a perfect remedy to heal the acne- scars. The herb is believed to bring fortune, it gets used in every auspicious occasion of Indian families. Neem– Neem is yet again an excellent herb, also known as the most ruling herb. I guess everyone must have heard about the health benefits of neem. It is easily available everywhere, it is the best detoxifying herb ever known. One can consider it as the most powerful blood purifier. It can cure any skin disease. It even works as a wonderful agent for overall body diseases. 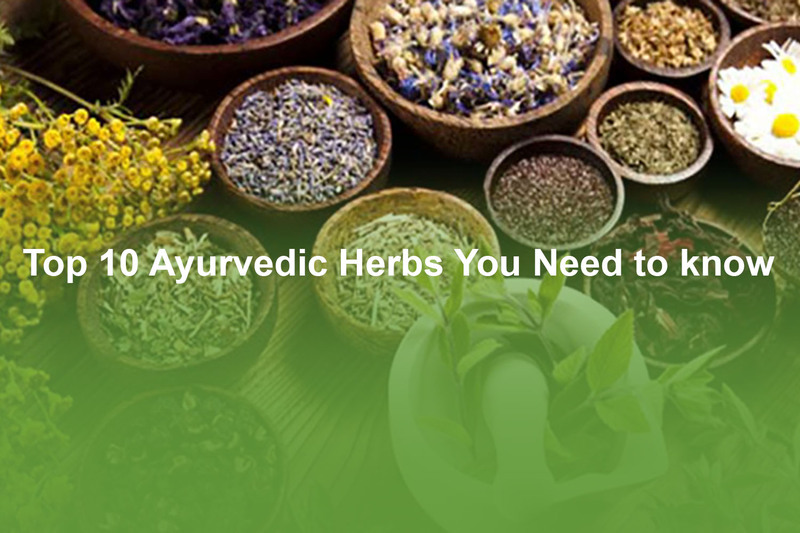 Ayurvedic herbs are endless, each plant contains some great health effects. Ayurveda has impacted our life from ages and still, it is in practice. It took birth in Indian and has been practiced in India. However, these days it is adopted by many western countries and it has tremendous results which even modern science fails to show.